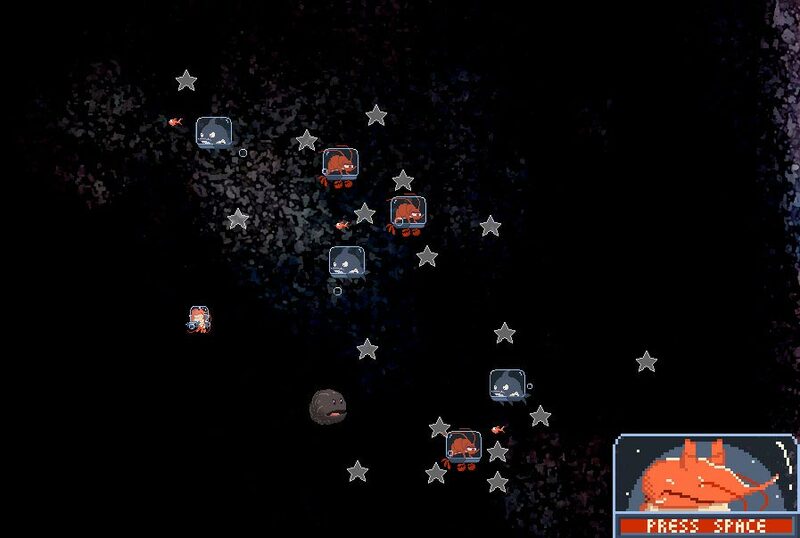 StarShrimp Trooper (in-browser) was made in 72h for the 30th Ludum Dare. Reconnect the stars while avoiding space whales and cosmic lobsters. Other project members: noc. (graphics), Captain CAPSLOCK (music & SFX), Grmpf (code & web design) and the Gagabu Team.